Amerisleep is a company that has a popular line of memory foam mattresses. They put extra time and care into the construction of their mattresses, resulting in great quality with a few features that make them stand out in the crowded mattress market. Though generally I’m a big fan of Amerisleep, I have some complaints as well. I like their concept of having a line of mattresses that are all catered to different types of sleepers. 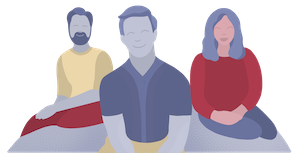 If you believe that there’s no one best mattress for everyone, then Amerisleep might be a good company to take a look at. Anyways, read on for my full Amerisleep review. Amerisleep is a perfect choice if you want a memory foam mattress but don't want to sleep cool. All their mattresses are very comfortable as well. You can get $250 off Amerisleep mattresses simply by clicking the link below. This mattress is great for side sleepers and for some combo sleepers. It has extra measures put into its construction to help you sleep extra cool. See my full Amerisleep AS4 review. This is the one mattress that is great for all types of sleepers. It is also one of the most popular models and comes at a very affordable price. All in all, it’s a great value and can be a good fit for a lot of different types of sleepers. If you have average sleeping preferences, then I would take a look at this model. See my full Amerisleep AS3 review. This mattress is specifically tailored to stomach and back sleepers. It is also one of the more popular models. See my full Amerisleep AS2 review. Celliant Cover– There are numerous studies that show celliant can have certain health benefits. I would encourage you to look into these studies for yourself (I’m not a scientist so can’t vouch for the claims myself). If true, having celliant in the cover could produce more restful sleep on top of other health benefits. Bio-Based Foams– Rather than having 100% petroleum-based foams, Amerisleep mattresses use bio-based foams. For me, that means a slightly greener product and typically a cooler sleeping environment. Memory Foam Feel While Still Responsive– Amerisleep mattresses have the quicksand memory foam feel, but they are much more responsive than most other memory foam mattresses. That means the foam returns to its normal shape fairly quickly and you won’t have the feeling of getting stuck in your mattress. Each Mattress Caters To A Certain Type Of Sleeper– Amerisleep doesn’t believe that there is one best mattress for everyone. That’s why it created a line of 5 mattress models that have a different firmness level and are catered to certain types of sleepers. Make sure you understand which type of sleeper the model you are looking at is catered to. 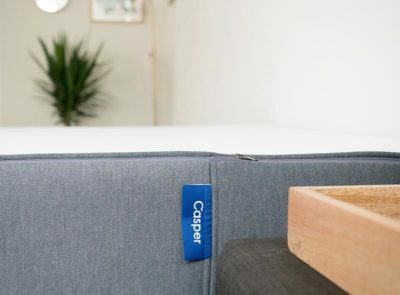 Sleep Cool– With celliant in the cover, bio-based foams, and a few other characteristics, all Amerisleep mattresses do a really great job at sleeping cool. This addresses one of the most common complaints that memory foam mattress owners have. Unique Manufacturing Process– The company has a very unique closed air manufacturing process that is a much more “green” way of manufacturing. It also makes for more durable foams. Overall I really recommend the mattress. I tried the Colonial, which is a little softer and great for side-sleeping. The Celliant technology is industry, but personally I didn't appreciate it or notice a significant impact during my short trial. I will say the mattress slept very cool, and delivers a great comfort/support tradeoff. You Don’t Believe There Is One Best Mattress For Everybody– Amerisleep has a line of five mattresses that are catered to different types of sleepers. Their philosophy is they will have greater success if they match their line of mattresses with the individual sleeping preferences of consumers. This contrasts with the one mattress for everyone philosophy at other companies. If you believe having different options with different firmness levels is a good idea, then Amerisleep is a good company to look at. You Like The Memory Foam Feel– All of Amerisleep’s mattresses have a memory foam feel. That means the foams are somewhat slow-moving (although less than most other memory foam) and you slowly sink into them. 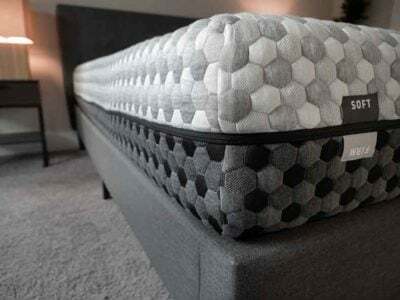 You Want To Sink Into The Mattress A Bit But Don’t Like The Feeling Of Getting Stuck– Memory foam has a nice feel of pressure relief and the sensation of sinking into the mattress a bit. Memory foam can be very slow-moving, however, and some people feel like they get stuck in the mattress. That’s not really the case with Amerisleep mattresses. Their foam is much more responsive than normal memory foam, so you get great pressure relief without the feeling of getting stuck. You Sleep With A Partner– All Amerisleep mattresses do a fantastic job at isolating motion. That means if your partner moves around, you generally will not be disturbed by their movement. Amerisleep uses high-density memory foam in its comfort layer, and that is what makes it so effective at isolating motion. 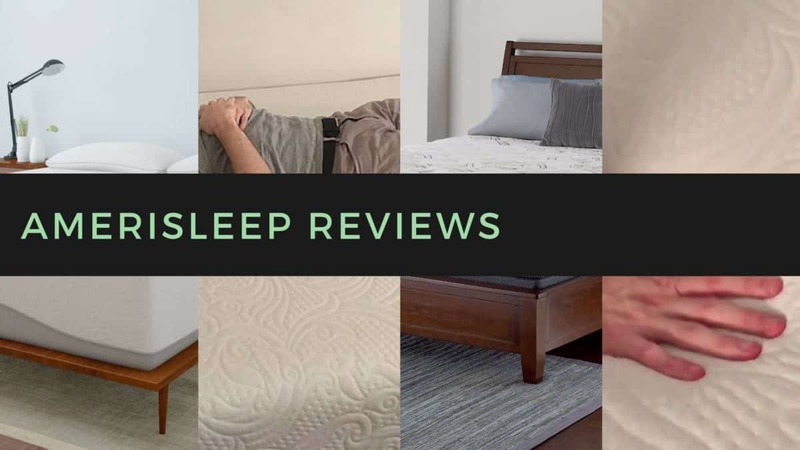 You Want A Foam Mattress But Want To Make Sure You Sleep Cool– Out of all the memory foam mattresses I have slept on, I would argue that all the Amerisleep mattresses I’ve tried have had the coolest sleeping surface. People often complain about memory foam and sleeping hot, but that has not been the case ever for me with Amerisleep. 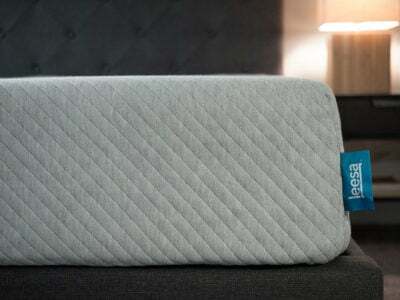 The celliant cover combines nicely with bio-based foams and a more open-celled foam structure to produce a nice, breathable sleeping surface that doesn’t get hot. You Prefer A Traditional Innerspring Feel– If you’ve had success with traditional spring mattresses, then you might not want to get an Amerisleep. The feel is going to be very different and would at least take some time to get used to. With innerspring mattresses, you feel more like you are sleeping “on” the mattress than “in” the mattress, much more so than with Amerisleep mattresses. You Like The Bounce Of Latex– Latex is known for being very bouncy/responsive. While Amerisleep mattresses are more responsive than most other memory foam mattresses, they don’t have the bounce of a latex mattress. If that is something you are looking for, then you might want to check elsewhere. You Don’t Want To Pay For The Extras In The Construction– All Amerisleep mattresses have extra costs put into their construction. These things include a celliant cover, bio-based foams, and certain modifications to make the mattress sleep cooler. If you don’t ever sleep hot and/or don’t think you’d care/want the extras, then maybe there’s a simpler mattress out there for you at a lower price. How Do The Amerisleep Mattresses Compare? I’ve written a couple of articles comparing the main models to each other. See the links to those below. 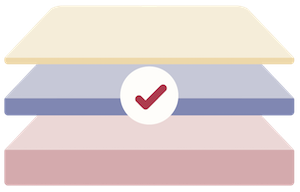 Amerisleep is definitely a quality line of mattresses, one that I recommend wholeheartedly. If you are looking for a high quality memory foam mattress and like some of the unique construction aspects of Amerisleep, check out my comparisons to help determine which model is best for your sleeping needs. I have had an Amerisleep Revere for two years and am happy with it. However four of my five queen sized sheets will not fit on it and the one that does fit is very hard to put on. Is there a line of sheets that fit these bulky mattresses best? I follow your YouTube and love your reviews. I’ve been on the hunt for the right mattress for a year and a half. I’m currently on the Winkbeds Plus, and it’s very comfy and well-made but not firm enough. I’m 5’2″, 250lbs, side and back sleeper. I have chronic neck, shoulder, and back pain and MAJOR issues with sleeping hot. I also love memory foam. Amerisleep AS3 wasn’t firm enough for me, and I didn’t care for the Loom & Leaf feel. Your Tempur-pedic model breakdown review doesn’t have some of the newer models. Between the Contour Elite Breeze, ProAdapt Firm, and LuxeAdapt Firm, which would you recommend? I’m also considering the Novosbed Firm, the AS2, or Muse Firm. Any other mattresses you would recommend? I’m also trying to help my mom find the right mattress. She is 5’1″, 90lbs, and a side sleeper. She has fibromyalgia and sciatic pain. The Wright W1.27 and Loom & Leaf Relaxed Firm were too firm for her. She hates the feel of the Purple.3, so I would like to stick with an all-foam mattress for her. She finds the close out sale for the Tempur-Legacy tempting. Do you know what the approximate durability for the mentioned Tempur-pedic models? Bought 2 AS1 twin mattresses 2 years ago. Not happy at all. The firmness (in the middle of the mattress) lasted about 6 months. I have “turned” them ( head to foot) and ended up actually putting a piece of foam between the boxspring & mattress to help the situation. Can’t afford to get new mattresses at this point. Sad to spend well over $1100 and get a backache every night. I purchased this mattress after I came to the conculsion that my current mattress was causing me back pain. So I did my research and decided to go with amerisleep. I was about to order online then I found out you had a location in Austin I could go visit. I ordered this mattress on Sunday the 12th at an amerisleep store. Was told it would take 3 to 4 business days to ship. Called amerisleep on Thursday the 16th and was told the mattress has not shipped and could not tell me when it would ship. I canceled order due to frustration and poor customer service. Then I was told that the mattress would be here by Wednesday the 22end. On Monday I had yet to get a tracking number so I canceled order. Funny I was told that Amerisleep could overnight the mattress on Monday. Why was this not offered last week?? So amerisleep gladly excepted my $1100 for a mattress that I have yet to receive or a refund as of Wednesday the 22end. Also Mattress has to be shipped from Arizona so you have to pay Arozonas taxes which cost me $135 on a $1050 mattress. I currently have the as4 and I normally sleep on my side. im 5’9” and around 160 lbs and for me there was too much pressure on my shoulders but everywhere else felt fine, they did send me a topper which felt better but their topper seems to retain a lot of heat, i was wondering what other mattress you would recommend. I was thinking about the Nolah 12, layla or a helix, what are your thoughts? I would try the Layla. We tried the tempurpedic “Cloud breeze supreme” today and just wondering what would be the equivilant with amerisleep? We liked that it was soft yet supportive and my husband and i are both combo sleepers . The AS5 would be the closest in terms of softness. Just got done trying out the AS3 for 70 days. I am amazed and disappointed that so many reviewers say that it sleeps cool. That is so untrue, there is no way they slept on this thing for very long to draw that conclusion. Both my wife and I found it slept hot, and we’re both healthy, in shape, normal people. The mattress is comfortable, but none of that matters if you make up hot every single night. We tried changing mattress protectors, even going without a protector, changed sheets and used a light comforter, even turned the room temp down. Nothing worked, I’m come to the conclusion that memory foam sleeps hot, no matter what “technology” they claim to add to it to make it cool. Great review. Would you recommend this over Tempurpedic Cloud Elite? If so, what would be the closest in softest in Amerisleep? I probably would just because of price. The AS5 is probably the most comparable in terms of softness. Shipping is horrible, you get the run around for days and nobody knows anything. Ordered and after over a week these people were clueless and had some weird excuse every time. Got a nectar instead and shipping was a breeze for less than half the price. I never write reviews but this really got the best of me since i moved to a new place and was sleeping on the couch waiting for a mattress! I am between the Amerisleep AS3 and Novosbed medium firmness. My husband and I are new to the memory foam mattress world. Any insight for comparison of these two mattresses, besides the obvious design and comfort plus kit that novosbed offers. We are combination sleepers currently sleeping on a spring mattress with a memory foam/egg crate topper. We honestly cannot decide between the two mattresses. Help! Very similar. I would say the Amerisleep stands out in addressing the issue of sleeping hot. If that’s a problem for you normally, then that could be an advantage of going with Amerisleep. I first had a Pressure Point from HSN, it had zones, it was ok, but you couldn’t sit on side of bed without sliding off, and sometimes you need to sit while putting on shoes, etc. Now, I just finished 2 weeks on the Casper, I would definitely not recommend it, it was like sleeping on a board. I have arthritis, and severe Fibromyalgia. However. Just had a lower back fusion (L4-5) so I need back support. So which Amerisleep is as soft as possible but supports the back. I also have obstructive and Central Apnea and need to be on Bipap machine. I love sleeping on side but if mattress not soft enough it’s to painful. So what’s the best bed for me and least expensive? I ask Casper if they had a topper for it, they sai I was free to go and buy a topper, I said if I’m spending $1000 , I shouldn’t have to buy a topper to make it comfortable enough to tolerate sleeping on it. I had a knock off tempepedic for 12 yrs and it was great, just very hot. I would not recommend Amerisleep to anyone. The bed itself is not bad but the customer service leaves something to be desired. When I got my base It had a hole in it which I did not notice. The same day a man came and brought the mattress and he noticed the hole immendiately. I called their customer service and they informed me we would have to lift that heavy mattress off and take a picture of the base. We’re 70 years old and my husband has heart issues so it was very difficult for us to get the mattress off and back on again. Anyway we took pictures of it and my husband sent it to them. They said they didn’t get them. It sent it to them several times and they said they still weren’t getting it. I finally sent it to them and they responded and said they had gotten it and they would have to send it in to the manufacturer. It’s been about a month and we still haven’t heard from the manufacturer or anyone else. My husband called them last week to see what was going on and he didn’t know anymore about it than he did before. For me a store that has poor customer service must also have poor merchandise. Any reputable company would have gotten back to let you know what’s going on even if they haven’t solved the problem yet. Unless you’re willing to take a chance on what you might very well end up with I would not recommend Amerisleep. Hello Joe, Great info here! Wondering if you know which Amerisleep would be closest to a Tempurpedic Contour Rhapsody. Luxe? Thank you! Probably AS2 I would say. way back when i purchased a bed from Bergad, the Isoform Luna, it compared to the Tempurpedic Rhapsody. The bed was great and said to be made from materials that are not harmful or off-gas. now they apparently only sell to mattress manufactures but with non-disclosure agreements. So, my problem is how do i locate this once perfect bed from another manufacturer? going to have to return my saavta, i want to to sink into the bed and not be on top of it. i even wrote bergad to say i would be interested if they got back into the mattress game, but no response. I think i want Certipur certification. But if Tempurdic is not harmful, then why not something directly comparable, right? I’m not sure, I haven’t heard of that bed before. It is the Tempur-Flex Supreme Breeze (medium). We have tried beds locally and found the tempurpedic cool breeze medium most to our liking. What is comparable to that? We want reasonable firmness with cooling. Any thoughts? Can you clarify which model it was? I bought an As4 colonial mattress from Amerisleep after reading lots of reviews. The company has super customer service! After sleeping on the mattress for over 30 days, the mattress was just too firm. So we ended up sending it back. We wish it would of conformed to your body more. U did not sink in at all and so it hurt our back. We r now trying a hybrid made by Simmons beauty rest. Keeping fingers crossed. Which Amerisleep memory foam would be closest to the Tempurpedic I have been sleeping on for 12 years and love love love!?? I would like a twin or 2 for the guest room, but cannot afford Tempurpedic’s prices of today. Thank you. Which Tempur-Pedic model do you have? I was wondering why Amerisleep changed their mattress covers? Seems like an aesthetic change. Still has celliant in it. Debating between Amerisleep AS-5 (formerly, Independence) & Alexander Signature. I’m a big guy; my wife is not. We are both mostly side sleepers. 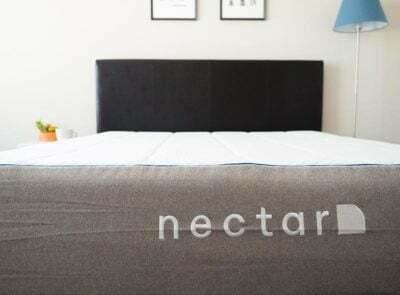 We tried the Loom & Leaf luxury firm (not enough support and slept very hot for me, surprisingly), and Nectar (support fine, but feels like I’m sleeping on a board once I’m through the top layers). I like the idea of the Amerisleep AS5, because it’s 14″ thick, with a 7″ base layer – sounds like it will give my wife and I the plush feel we like, but also have the support I need. I also like that it doesn’t use any of that cooling gel nonsense, which I’ve learned from my Loom & Leaf experience that, at least for me, it does not help with cooling. The Alexander is only 12″, and that’s if you include the 2″ of soft low density foam in the cover, and uses gel foam, which won’t help me with heat. Anyway, I’m at a loss as to how to proceed and would very much appreciate the benefit of your thoughts and experience with these mattresses. Amerisleep probably does the best job of keeping cool of the memory foam mattresses I’ve tried. I think your thinking is sound here, even though I have not personally tried the AS5. That was not my experience, they came and picked it up, no problem. I now have had an Amerisleep mattress since February. 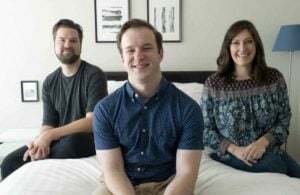 We came from a Sealy pillow top foam hybrid mattress and purchased a Amerisleep Liberty, since we are both mostly side sleepers and I didn’t want a mattress that was too soft. So as they say, when things work all reviews are positive. It’s when there are issues that the true worth of a company comes through. With Amerisleep I absolutely give them 5 stars, for being true to their word. Let me explain. 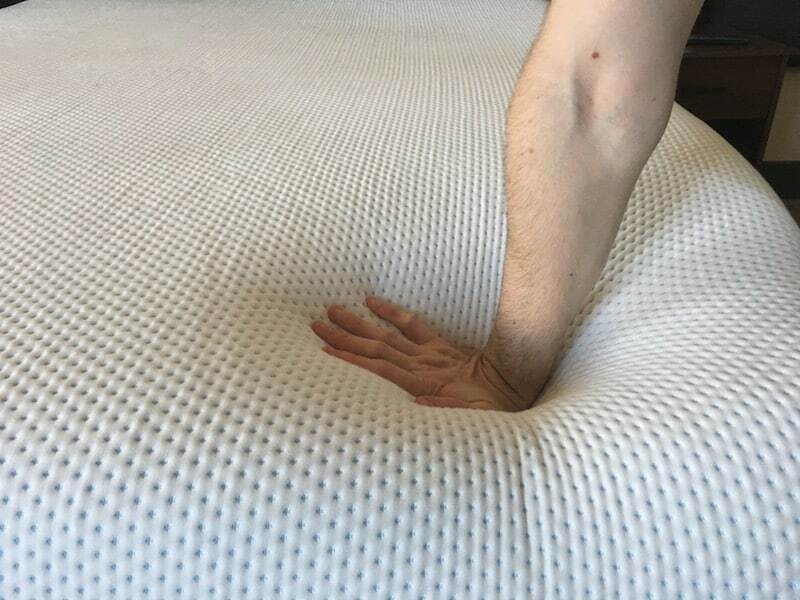 In April I notified Amerisleep that the mattress was still to firm, so without charge, they sent me a memory foam topper, that was indeed softer, but because there was now way to integrate into the mattress became unusable. I notified Amerisleep on June 7th that we were still unhappy with the mattress, but that we thought with the Colonial being softer would be a better option, and fully expecting to pay the difference between the two models. To my suprise, Amerisleep was more than happy to send a Colonial, but with a $300 up charge vs. the $800 I was expecting to pay. The mattress arrived today and initial thoughts are this is the mattress to have. In closing, my recommendation, if you are mostly side sleepers and coming from any sort of pillow top mattress, look at the Colonial first, as I believe, as we found, anything firmer will be too firm. Any idea how well this mattress holds up on an adjustable frame? My current 2yr old mem foam has ahold forming at the foot-end where frame holds it in place. Haven’t done the durability tests myself (the test of time), but has high density foam so should hold up as well as any on an adjustable bed. We bought an AmeriStone, oops I mean AmeriSleep Liberty and it was delivered last week. I find it unbearable to sleep on. I’m not kidding. I’ve been sleeping on my rock solid, cold leather couch, because it’s more confortable that this bed. It was in their “Soft Mattress” section on their website and since my wife likes her mattresses a little firm we went with the medium soft Liberty. Well it isn’t soft at all unless we’re comparing it to stone, like slate is softer than granite. I feel like I’m sleeping on hard sand at a beach where the mattress divets slightly around your body, so you’re encapsulated in stone. Now I know how Han Solo must have felt. Never buy a bed without trying it first. I would NOT recommend an Amerisleep to anyone. If you want to try an Amerisleep mattress without having to drive to their showroom in Tempe, Arizona, just sleep on your hardwood floors for a night and BOOM! you just experienced an Amerisleep “Soft” mattress. Sorry Amerisleep didn’t work out for you Kung – what’s next? Let me know if you want any recommendations. Check out my thoughts on Amerisleep vs Loom & Leaf here. I have neck and shoulder issues. I just got rid of a Stearns and Foster Presidential that I was quite happy with. I am in Toronto, Canada so not all the online beds are available here. I went to a Sleep Country store and decided on a foam mattress. I got a Dormeo 8700 which is Canadian. My neck and shoulders are much worse. It has been 10 days. I beleive it is too firm. I will not get a refund but they will exchange it. Nevertheless I think I want to try the What do you think about the Loom and Leaf as I can send it back. I see it tends to be a bit firmer. This may not work for me. Any thoughts? I also want to return my leesa, side sleeper and back pain. I’d like a more traditional hugging feeling of a memory foam as the leesa feels too firm. But I also want it to be good for my back which has been aching terribly since child birth a few months ago. I researched bear, amerisleep, Layla, nectar. Please help, I want to get it right this time and I’m in pain. Ty!! Hi. I have spent the last two days researching mattresses. I am a side sleeper as is my husband. I have always had a traditional inner spring mattress. I was interested in the amerisleep, but I also saw some reviews for the Nectar. Do you have any information on that one? Do you have any idea if heated (electric) mattress pads are a no-go with this? I never turn mine on very high, but I consider it kind of essential. Hi Angela – no idea on that, I’d check in with the company. Seeking some advice regarding mattresses. I’m a side sleeper , 5”11, 160 and my wife is a combo sleeper but sleeps mostly on her side, she’s 5’8, 130. About a month ago I bought a pretty soft Simmons beauty rest hybrid and my shoulders are always sore when I wake up. Not too mention the high price tag. My plan is to return it so I’ve been researching amerisleep, Leesa, and purple but am open to suggestions. Would love to get your advice. Thanks in advance! Hi Louis – sorry to hear Beautyrest hybrid isn’t working out! The other mattresses you mentioned are a very different feel than the Beautyrest hybrid, and pretty different from each other as well. 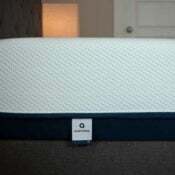 Any preference on feel or type of mattress? Joe, apologies for the very delayed response. We purchased a Leesa and I’m sending it back, too firm if that gives you an idea. I sleep on both of my sides, and my back has been very sore after waking up. Also my wife doesn’t like the height of the Leesa at 9″. Right now I’m leaning towards Amerisleep either the Liberty or Colonial. Any thoughts? Do you have to pay for return shipping on the mattress? I liked the idea of Amerisleep until talking with the rep about having to pay the return shipping fees on the mattress if it didn’t work out….that’s huge and is a real deal breaker not mentioned here. The one thing that the website doesn’t mention is that when you call and ask to return your mattress you are told to wait anywhere from 24 to 48 hours for a “comfort specialist” to contact you. I called regarding a return on January 5th and I’m still waiting for the phone call. I’m impressed with the Amerisleep Colonial, as it hits all the “must have” buttons for me: mfg, not petro based product, good support for side sleepers with issues. I have fibromyalgia, been sleeping on a 100% natural latex (Dunlop) with an added 3″ gel memory foam topper, but I am struggling to get enough sleep, and hurt all over; and it was a bit pricey, too. The Colonial is just too expensive for me. Is there another bed you would recommend as a lower priced option with the same quality and performance of the Colonial? This mattress only has a small % of plant based foam 5 to 10%. Their advertising is very misleading. Agreed – better than some, but don’t expect a 100% plant based foams (from any company with this advertising). Hi what is about the Loom & Leaf memory foam mattresses that have plant-based foams too. I am interested in both Amerisleep Revere and L &L. Please help me decide asap. Thanks.